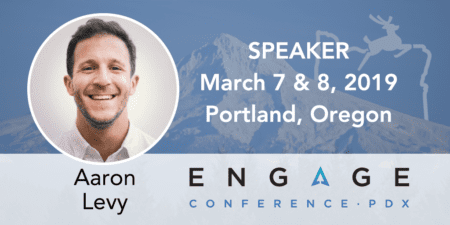 Aaron Levy will be speaking on SEM at Engage which will take place March 7–8 in Portland Oregon. For more information or to purchase tickets, please click here. I started working in digital in college. 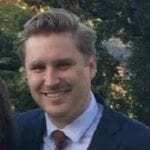 I was a full time co-op at DuPont for about 8 months, where they tasked me with implementing what was then Omniture Sitecatalyst enterprise wide. Seemed like maybe a dicey task for an intern, but I got a TON of experience that I’d never have gotten otherwise. I also got a chance to set up AdWords for a few of the business units there and was blown away that a 20 year old could have pull in the marketing department because nobody else knew what was going on! I quickly learned the stodgy old school Fortune 500 world wasn’t for me, and progressed to a few agencies and marketing channels (affiliate, email, SEO, Display) over the years before landing here at Elite. At Elite, I oversee what I’ll call the mid-Atlantic SEM experts-onlye an experts only approach, so my team ONLY works on SEM, GDN and a tiny bit of shopping. Better to be an inch wide and mile deep than an inch deep and mile wide. We focus primarily on enterprise, working with big budgets and navigating the complexitites of where SEM fits into a well defined marketing program. I like to say my role is to support rather than govern, so I spend most of my time evaluatng long term strategies and industry trends to make sure our clients are equipped for years to come. 2) What is your current assessment of the quality of Google’s various “Smart Bidding Solutions” and is there still a role for manual bidding? They’re trending in the right direction. I must admit I was skeptical when they first launched (smart is the new enhanced…), but it’s pretty tough to compete with auction-time bidding for signals we can’t see. The challenge with Smart Bidding and all Google-developed products is they can only see what they can see. That is, the success of Smart Bidding depends on the data you feed it. If you have a re-marketing audience that’s performing well, Smart Bidding will drastically increase bids there because it sees a high propensity to convert. It won’t see “oh these may be current customers,” it will ONLY see a high conversion rate. Or, if you’re generating leads and it sees a display placement with covnerting well, the tool will go HAM and bid like wild without regard for lead quality. The other challenge facing smart bidding now is that it has a short memory and, for all intents and purposes, starts from zero after every change. I’d love if future state would allow us to “coach” Smart Bidding, telling it to bid down on weekends hard since we know those converters are worse rather than waiting for it to figure out. That, and waiting for it to “learn” from more than 30 days of data. I’m an advocate of automating bidding as much as possible, so I would say avoiding manual as much as possible is a benefit. BUT, I don’t think we’re ready for a fully automated world until we can get some additional (or any) levers in place. There’s still a place for classic rules-based bidding and maybe a few truly manual bids. 3) How should a client evaluate the performance of their agency? Loaded question! To be successful, an agency must always be forward facing. You as a client, should always know what’s coming next and should always be prepared for the future. You should understand what the present scenario is, what caused your account to get here, and what you can do to keep progressing in the future. I’m wary of any agency that treats search engines/bid tools like the enemy. We may not like any changes, but those who try too hard to preserve old tactics are the ones who wind up getting left behind. This is going to sound a bit um, agency friendly and excuse-y, but here goes. Take caution evaluating your agency on media performance alone. The PPC marketplace is a tumultuous one; sometimes Google + Bing change the SERP for your top performing terms. Sometimes a new competitor comes in with an unlimited budget and wanting to “own” a term. There’s likely nothing anyone can do to stop either scenario, but you as a client should have a full understanding as to what’s changing in the landscape and how your team is doing their best to move forward in stormy seas. If you DON’T have a reason and a forward facing plan for why the current scenario is the way it is, that’s when it may be worth evaluating a new partner. I’ll also advocate that you evaluate what you’re getting for your money, to make sure your agency is providing value for price you’re paying them in whatever form that value takes. If your agency is saving you time, that’s value. If they’re improving performance, that’s value. Spending less but making the same revenue, value. If they’re just keeping the lights on… well, call me.